Today there are 8 billion connected “things” using APIs as the foundation of innovation in architecture design and modernization, enabling applications and services to be exposed for consumers to access in a manner that simplifies integration and reduces the burden of interoperability. There are many types of APIs ranging from REST, Cloud, Mobile, B2B, IoT, and Web Service APIs, but to properly secure, authenticate, and integrate APIs, API Security Gateway technology is required. An API Security Gateway enables these applications and services to be securely exposed, however, not all API Gateway technologies are created equal. 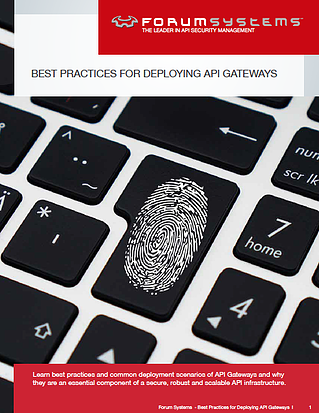 In this white paper, you will learn best practices and common deployment scenarios of API Gateways and why they are an essential component of a secure, robust and scalable API infrastructure. API Gateway deployment best practices and benefits. Common deployment scenarios of API Gateways. Key requirements to consider when evaluating API Gateways.